A new report published by the Institute of Alcohol Studies (IAS) reveals that numbers of breath tests for drink-driving have fallen almost a quarter in the past five years. 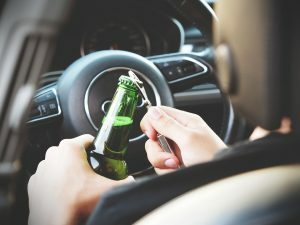 Running on empty: Drink-driving law enforcement in England’ assesses nationally published breath test figures from police data, alongside Freedom of Information (FoI) responses from 35 police constabularies on the levels of resources and enforcement committed to dealing with drink-driving. The figures reveal that breath tests conducted by officers have fallen between 2012 and 2015/16, in the face of fewer available staff (the number of Roads Police Officers has declined by 27% since 2012) and increasing pressure on stretched frontline officers. If breath testing had been maintained at 2011 levels, there would have been over a quarter of million (260,681) more breath tests performed during this period. The average roads policing budget for forces also steadily declined, by almost a million pounds per force. These figures have emerged among a backdrop of no significant changes to drink drive deaths in the UK since 2010. England and Wales stand apart from all other nations in Europe – including Scotland and N. Ireland – in having a drink drive limit of 80mg of alcohol per 100ml of blood; other nations’ limits are 50mg/100ml or lower. In addition to greater enforcement, research suggests that if England and Wales followed suit, lowering the limit would save at least 25 lives and prevent 95 serious casualties a year, and £800 million in costs. Such a move is also supported by road safety charities, publicans, and the public – the latest British Social Attitudes Survey showed more than three-quarters (77%) of people are in favour of a lower limit. ‘This report highlights the damaging impact of police cuts on the ability of roads officers to do their job properly and enforce the law against drink-driving. Where enforcement levels are on the wane, more public campaigns would raise awareness about the dangers of drink-driving, and a lower drink drive limit would provide a cost-effective way of limiting the risk of people getting behind the wheel after consuming alcohol. ‘While budgets continue to be squeezed, approximately 200 lives are being lost on our roads to drink-drivers every year, and although the Department for Transport says that is “200 too many“, stripping police forces of the resources needed to tackle drink-driving may lead to worse outcomes in future.